In an interview with IBN Live LG's Head of Mobile Product Planning, Amit Gujral, has let slip that the much-anticipated and not-so-secret LG-made Nexus 4 is the real deal and it's going to be unveiled at Google's Android event come October 29 (that's next Monday if you don't have a calendar at hand). He also made it clear that the device will become available in India "by the end of November", leaving us in the dark regarding global launch of the next-gen Nexus device. Amit Gujral also shed some light on the specs of the device, confirming it will have a 4.7" 1280 x 768 display, 2GB of RAM, a quad-core CPU with each core clocked at 1.5 GHz (rumors point at an S4 Pro chipset), an 8 MP snapper and 8 GB to 16 GB of storage excluding a microSD card slot. Finally the device will run Android 4.2. 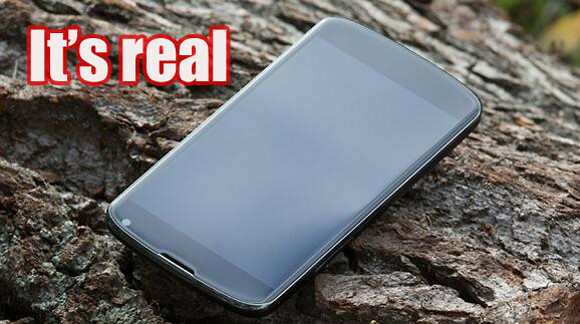 So, it seems the rumors surrounding the Nexus 4 were spot on. Because Google's hate for expandable memory and love for everything cloud. I agree 8GB is a little tight, even if you just use it for apps/games. For music google music is awesome and tehre's google drive of something equivalent for pictures. this phone is more better than "G"
really? what I understand is that there is an 8 gb version and a 16 gb version, so I presume the 8 gb version will be expandable?